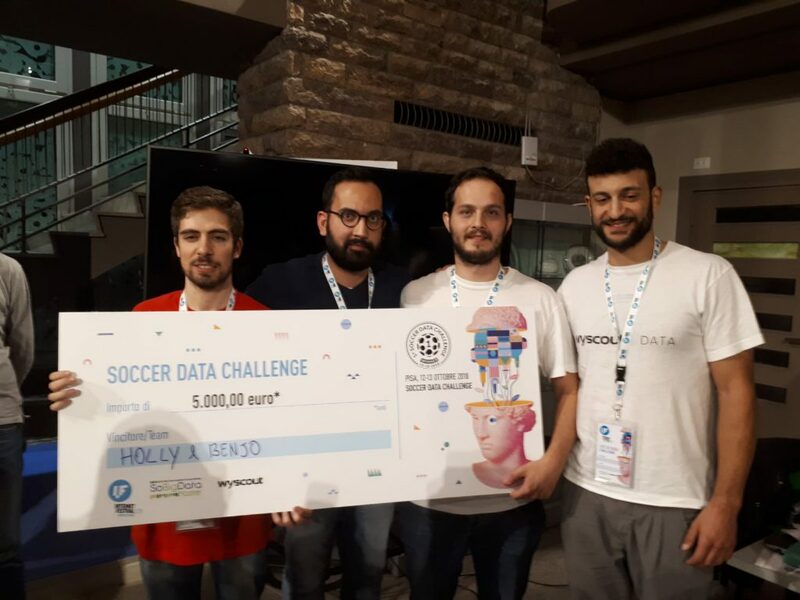 Three of our PhD students Matteo Tiezzi, Dario Zanca, Andrea Zugarini, together with Alessandro Rossi, former PhD student of our lab as well, won the SoBigData Soccer Data Challenge, held in Pisa on October 12-13 during the Internet Festival 2018. The competition was open to people with a passion for data and soccer. For 30 hours 10 teams faced each other on the development of a solution for analyzing soccer matches. The participants had access to a dataset of the last complete season of the italian Serie A, containing all events of each match. Our team, called Holly & Benjo, won the challenge exploiting a neural network-based solution.